Servings: Depends on if it’s a side or a main dish I guess? 4? Modifications: Just used frozen corn and microwaved it a bit. Also, kind of ran out of cilantro so we could have used more of that. Ben: Meh. Pass due to his distaste for tomatoes and plain avocados. Notes: Whenever we are serving food to other people, I love that I can actually make things with tomatoes because 3/5ths of my family does not like them. This is a super simple, easy and healthy side dish and a great summer salad. Loved it and might make some for work lunches again. I keep giving Charlie raw tomatoes and figure if I keep it up, maybe there will be another person in my family who likes them! He may have even gotten some raw onion and been okay with it. 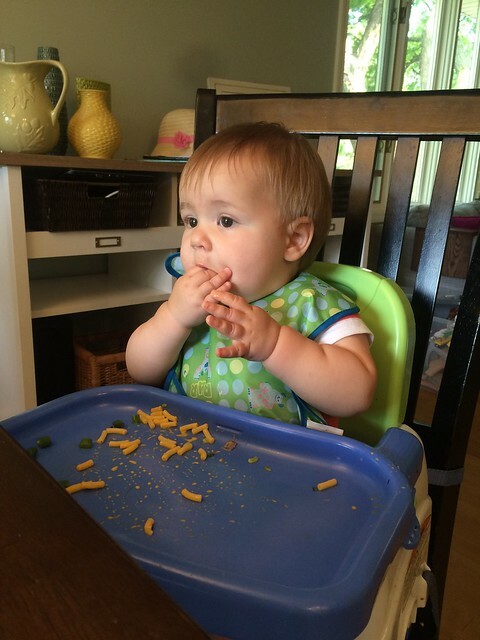 This kid is like a garbage disposal at this age! He’s a good motivator for these 2 to try different things too! 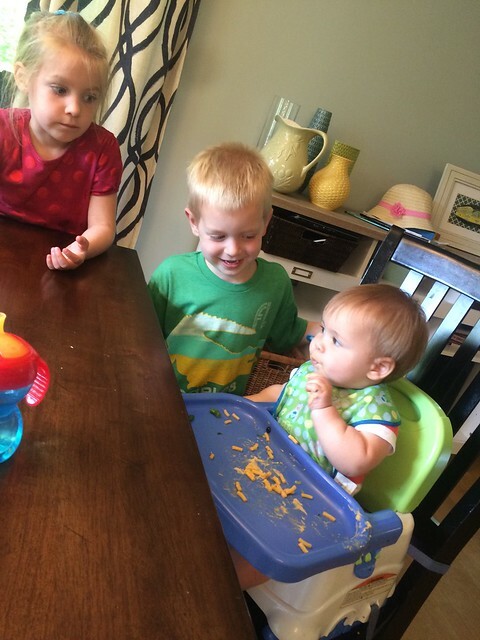 Not like they are terrible eaters, but they have their strong preferences by this point for sure. 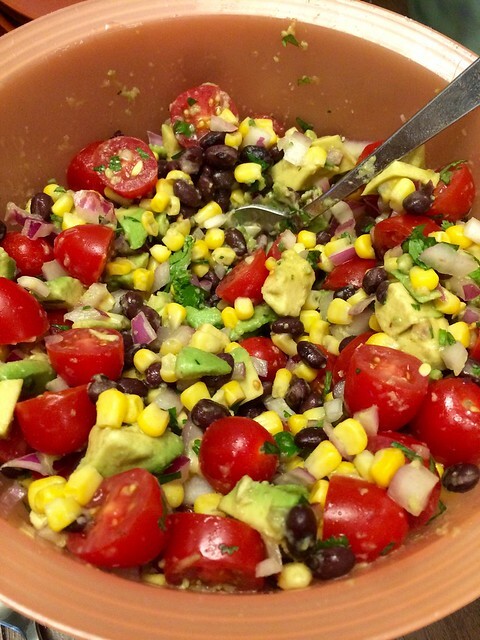 This entry was posted in avocado, black beans, cilantro, corn, lime, tomatoes, vegetarian. Bookmark the permalink.